Clothing/Jewelry Description A red t-shirt, green khaki shorts, white socks and size 9 white Reebok sneakers. Distinguishing Characteristics Caucasian female. Brown hair, blue eyes. Lawson wears eyeglasses. Her maiden name is Smith. Her nickname is Carrie and most accounts refer to her by that name. During the early morning hours of September 11, 1991, Lawson received a telephone call from a woman claiming to be a nurse at a nearby hospital. The caller told Lawson that a relative was in the hospital seriously injured. Lawson and her husband went outside to go to the hospital and a masked assailant met them in the yard. The attacker, who was armed with a gun, forced Lawson to tie up her husband of two years. The man then abducted Lawson and drove away with her in her own four-wheel-drive 1991 Ford Explorer. She has never been seen again. The vehicle was found over a week later in the woods in Winston County, Alabama. Lawson called her husband the next morning. A $300,000 ransom was demanded for her safe return. Her loved ones dropped the money into a dark culvert as specified in the ransom demand. The money was picked up on September 13, two days after Lawson's abduction, but she was not released and she has never been heard from again. Karen McPherson later pleaded guilty to Lawson's kidnapping, but said she did not know her whereabouts. She stated that Jerry Bland, a distant cousin of hers, abducted Lawson, and McPherson herself was only an accomplice. McPherson said she last saw Lawson a day or two after the kidnapping and she was alive at the time. Bland later told her Lawson had escaped and ran into a remote wooded area. Most of the ransom money was later found in the attic of Bland's home. He committed suicide three weeks after Lawson's abduction, shooting himself in the head while law enforcement authorities staked out his house. McPherson was sentenced to life in prison for her role in the abduction. Photographs of her and Bland are posted with this case summary. Lawson was apparently chosen at random by her abductors and the sole motive for the crime was money. Her parents hired a private detective to investigate her abduction and they believe a third individual was involved in the kidnapping. Many investigators believe Lawson's remains are buried in an abandoned coal mine between Jasper and Tuscaloosa, Alabama. Bland was a coal mining executive and had business connections in those areas. Lawson is originally from Cleveland, Tennessee and is a graduate of Cleveland High School. 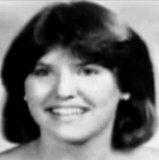 She graduated from the University of Alabama's law school just prior to her disappearance, passed the bar exam and obtained a job with a Jasper law firm. 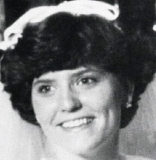 She was declared legally dead in 1993 and her husband has remarried, but her body was never found in spite of a substantial reward offered for its recovery. Updated 9 times since October 12, 2004. Last updated August 13, 2013; name and distinguishing characteristics updated.